Everyone’s favorite Starburst flavor (pink, duh) is now in drink form. 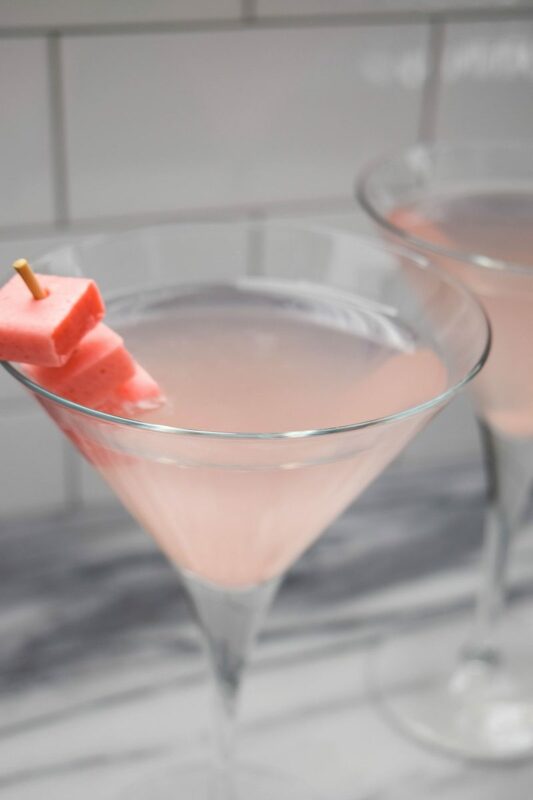 A refreshing strawberry Starburst inspired martini is the perfect cocktail for any and all celebrations. It’s almost Halloween time and that means candy, candy and more candy! 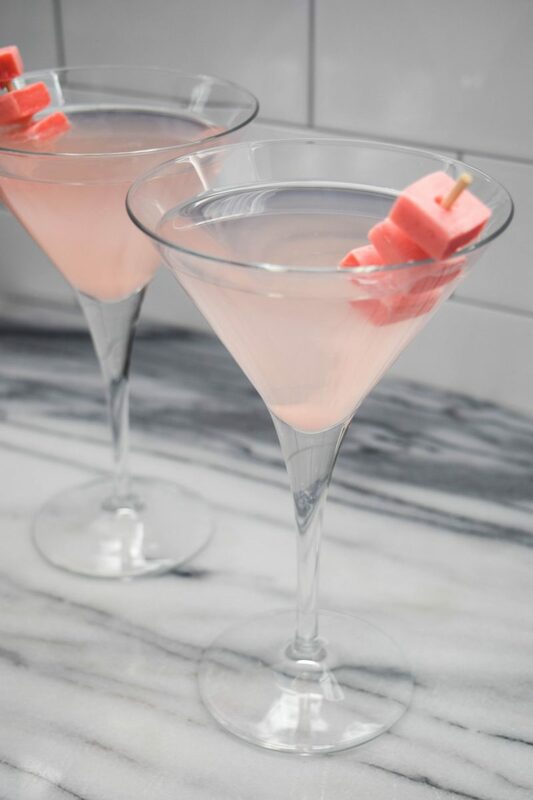 My friends over at Drizly asked me to share a candy-inspired cocktail recipe for the upcoming Halloween season and I couldn’t resist making something perfectly yummy and pink. Because we all know the pink starburst is the best one, right? 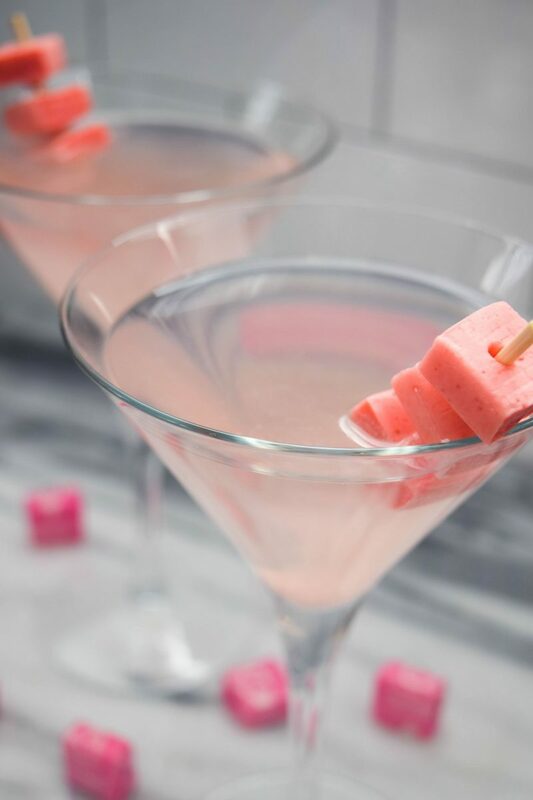 With a combination of strawberry flavors, my Pink Starburst Martinis make for a perfect Halloween themed girls night. I’m envisioning these being consumed during a viewing of Hocus Pocus and plenty of popcorn. What do you think? Since I can’t seem to convince my hubby to watch my fave Halloween movie this may be my best bet! 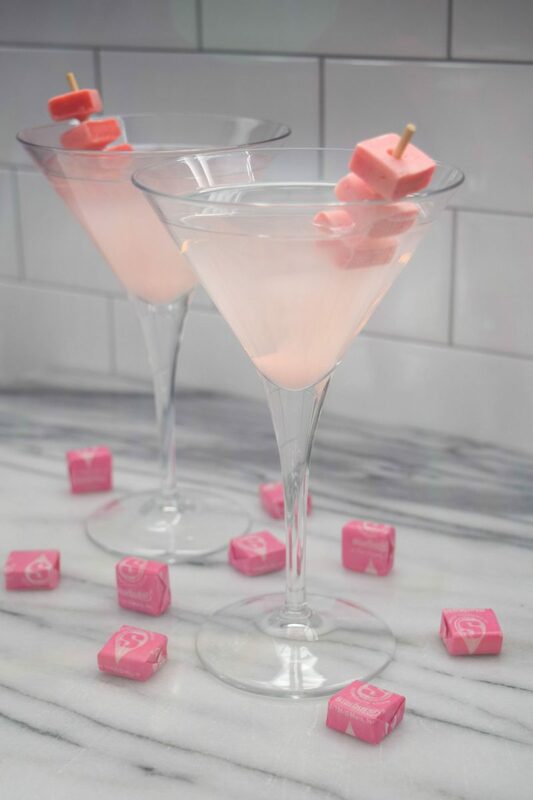 If you are looking for a candy themed cocktail for your own Halloween celebrations or you just love pink starburst (because who doesn’t! ), follow my recipe below for a pink Halloween! Add vodka and strawberry kiwi juice to a cocktail shaker filled with ice. Shake vigorously until well combined. Pour mixture into martini glass and top with 1.5 ounces of strawberry flavored seltzer water. Garnish with pink starburst and enjoy! This looks SO good! What a creative idea! Sounds amazing! Red is my favorite, but pink is a close second and this drink would be perfect! I also like red too! I am all about those special packages now where they just sell the red and pink ones! Thanks Danielle for stopping by!